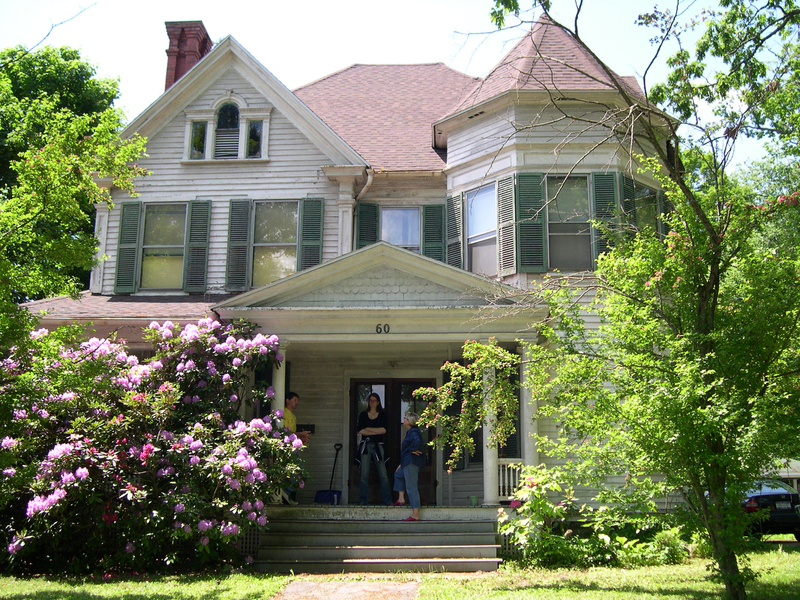 I haven’t shared much of our family history here, yet, as this blog is primarily about our actual house. But, what is creating our house and making it a home is our roots, our ancestral history, the history of the time our home was built, and the history of each of our families. . .so I thought I’d start sharing a bit of those pieces, too. When one purchases a large home, there is a daunting task of furnishing it. We didn’t have much when we bought this place, as I have moved every 2 years for the past 18 years and Bill sold a lot of his pieces when he sold his last house. So, we scraped together what we had, bought a couch and a table and that has been about it, oh, and started scouring antique malls. Upstate NY has fabulous antique places. 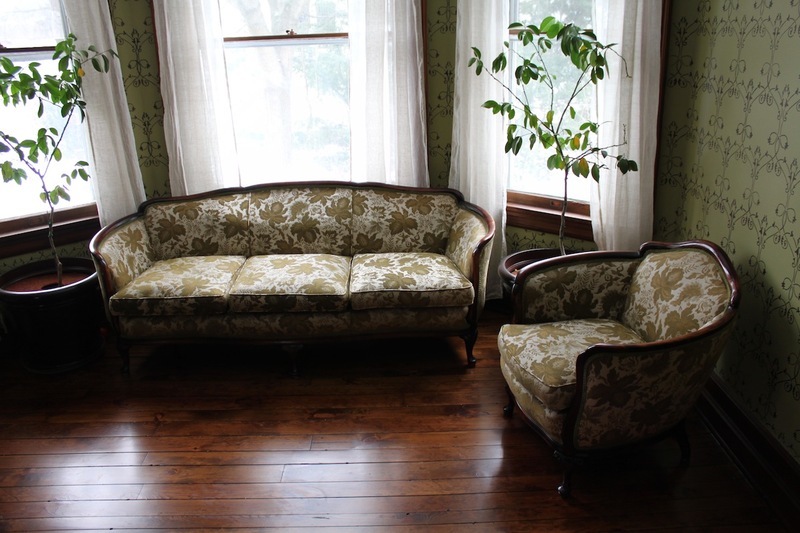 However, I have been fortunate to have garnered some furniture that has been in my family for a century. My mother’s godmother and my grandmother’s cousin, Cordia Grunewald had some wonderful pieces. I remember seeing them in her apartment when we would visit for Thanksgiving years ago. I remembering thinking how grand her bed was and how quaint the couch. I was attracted to antiques as a young teen and chose them for my own bedroom when I had it redone in high school. So, I had a natural inclination towards Cordia’s furniture when she moved into assisted living. None of my mom’s 3 siblings or their children wanted the furniture, so I really scored! I have attained the couch and chair as well as a large mirror for our living area. For our bedroom, I was given a headboard, footboard and 2 dressers. I’m not sure what type of wood this is, though. Mahoghany maybe? 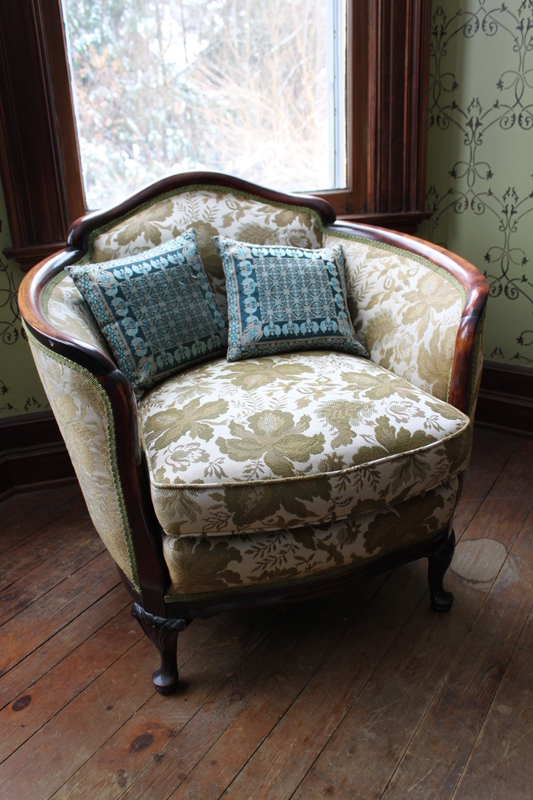 These pieces are circa 1903, from Cordia’s parents’ first bedroom. Cordia always had a trunk at the base of her bed, so my father gave one to me that he found and lined with cedar. Our bed set up on a queen size frame even though the original was full. The couch and living room chair are circa 1930’s from their living room and I cannot guess the date on the large mirror above our mantel, but it is plaster with gold guilding. I feel so lucky to be enjoying these pieces as they fit beautifully into our home and still look grand. Cordia, as most of my mother’s side, was of German heritage. An only child, she went into the army and also became a teacher. She traveled the world and knew the important tidbits to save, like special old coins and stamps. She never married or had children of her own, so our family grew close to her, spending Christmas’s and many Thanksgivings together. I think of her often as Will climbs on her couch and removes the heavy horsehair cushions. 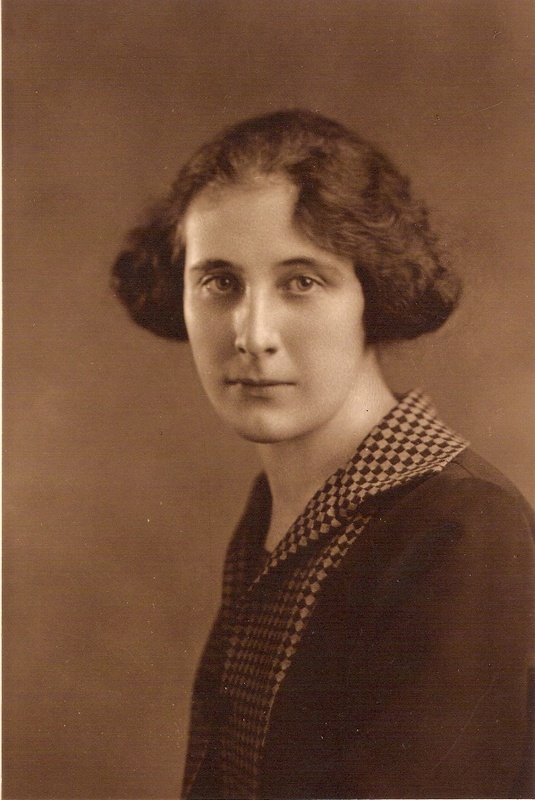 Corida around the time of high school graduation, circa 1920. I think she’d smile and giggle to see her family’s things enjoyed so much. And I think she would be happy to know how much we are appreciating them. Hey Karyn! It’s Shanon (Hays) Stroer. 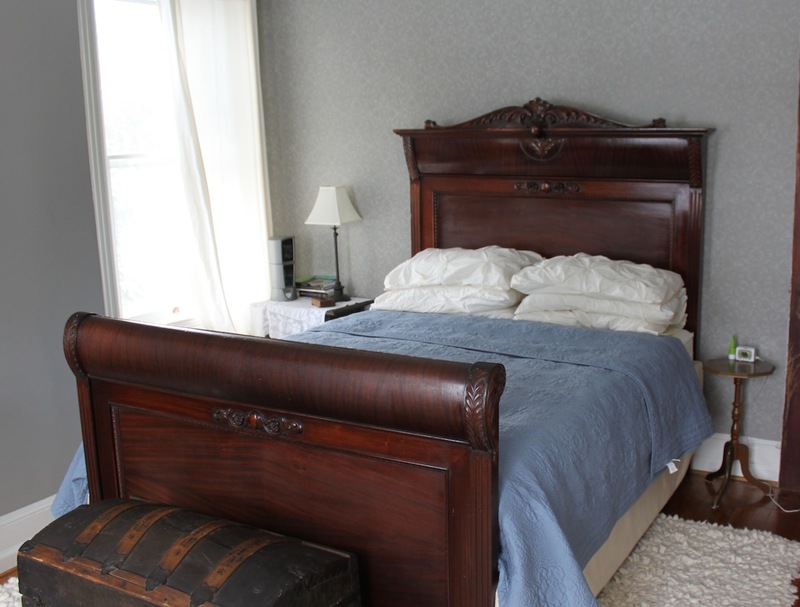 The bedstead is indeed mahogany. Can’t tell on the chairs though, but if you could shoot me a close-up I could likely tell you what wood it is. Hope you are doing well! 🙂 Love the blog!